Christmas, for the divorced folk in this world like me, is half a holiday when it comes to actual time spent with our children. That's because the other half is "Xmas" -- when they spend it with your ex. Christmas, in other words, just got halved. And when your kids are older, in late high school, college, and beyond, they want to spend just as much time, or more, with their friends than with you or your ex. Christmas just got quartered. As if that isn't hard enough, then there's that time when you might not be with them at all. This Christmas will be my first Christmas to New Year holiday, ever, when I won't be with either of my two beloved boys, ages 22 and 20. They will be spending that time with their mother and her family in Virginia. Should you feel sorry for me? Absolutely not. My ex, when we drove past a Nativity scene on a hill in a neighbor's front yard, said "Well, I guess they're Christian" to which my 3-year-old son Seth proclaimed from his car seat: "Yeah, but everyone up there is Jewish!" Isaac, my youngest, age 3, was wrestling with me and accidentally stepped on my privates, causing me to roll on the floor in pain. He knew immediately what would make me feel all better: "Daddy, just put Desitin on it!" After all, if diaper rash ointment can't fix it, nothing can, right? Having both my boys cuddled in my lap, after they set up their homemade cookies and milk for Santa and carrots for the reindeer by the fireplace to hear me read "The Night Before Christmas." When I decided, against everyone else's better judgment, to take my family out into a blustery cold snowstorm in the middle of a country field, at night, to cut down a Christmas tree, and in the process cut my hand to ribbons, so bad I almost had to go to the emergency room. What did my kids decide to do in response to my failure as a woodsman? 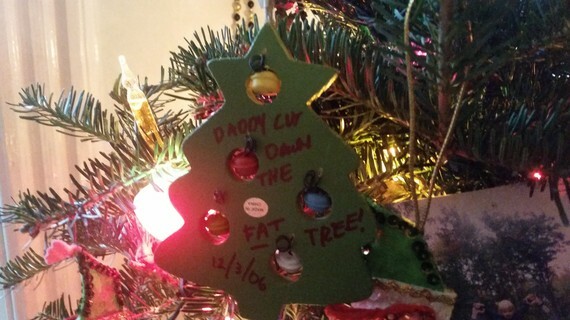 Make me an ornament of a Christmas tree, and in red Sharpie write "Daddy Cut Down The Fat Tree. 12/3/06." There are countless stories like this with my kids, and I'm sure you have so many millions more, my fellow Xmas-ers out there. I urge you to take a moment, now, and remember them. Then put a smile on your face, or shed that tear welling up in your eye. If your kids are near you, go and hug them, right now. If not, call them, right now. 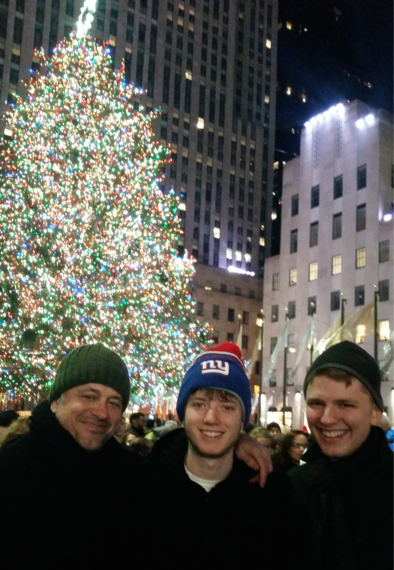 My Christmas with my boys this year came a week earlier. My oldest flew into New York from his startup tech job in San Francisco, and joined me with my younger one who is a college sophomore studying acting. Our weekend didn't have any special plans, but it sure was special to us. We went to one of our favorite pizza joints, John's, in Greenwich Village. We went to the Star War's 12:30 a.m. showing. The movie didn't start until 1:30 a.m., and we were up until almost 5, and it never got tired, not for one minute, to hear them go on and on about it. We went and saw St. Patrick's Cathedral in all its Christmas glory. 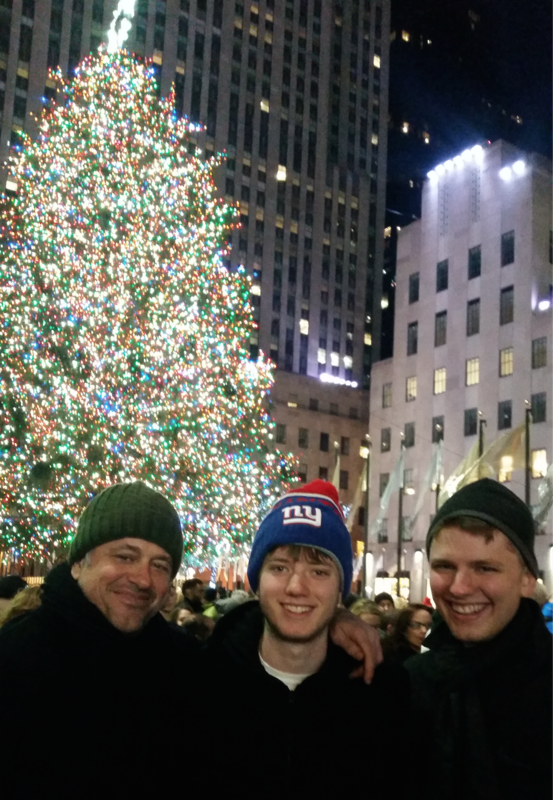 We took selfies in front of the Rockefeller Center Christmas tree. We walked the aisles of Tiffany's and looked in wonder at the largest yellow diamond in the world. We wandered up 5th Avenue to gawk at Bergdorf Goodman's amazing Christmas windows (the pearl window was by far our favorite). We ate at New York Noodletown, in Chinatown, our favorite Chinese joint, stuffing our faces with baby bok choy, salt and pepper squid, and pan fried noodles with seafood. We watched our beloved New York Football Giants lose yet another heartbreaker to the Carolina Panthers. 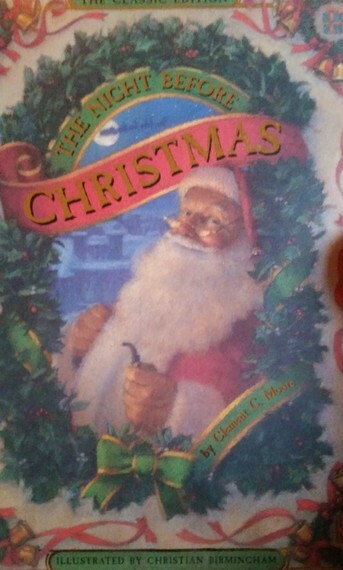 We hung out -- together -- and that, my fellow Xmas-ers is truly what Xmas is all about. 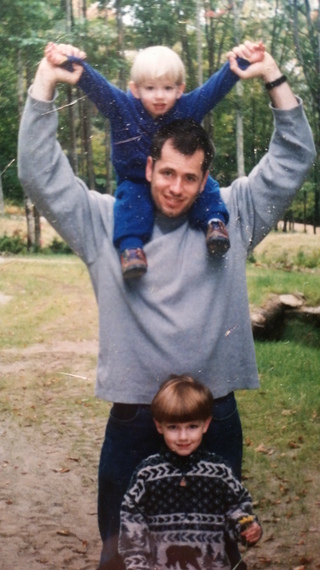 My son Seth summarized it best in a text that he sent me the day they left -- "So glad we had this weekend together -- love you. Can't wait for many more." I can't wait either. Christmas is whole, again.